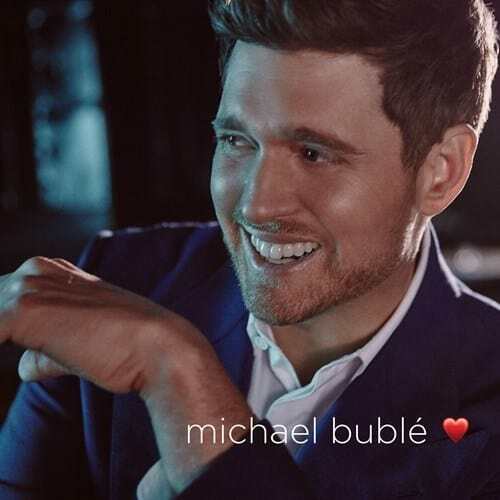 Global superstar Michael Bublé is scheduled to release ❤ (pronounced love) as his first studio album in two years on November 16th following a two year break from public life to spend time with his family. The Canadian singer-songwriter returned to the studio with a new perspective on life and a renewed commitment to honouring the music he has always loved. I didn’t anticipate returning to recording or performing and I was fine with that. My entire world view has changed completely these last few years. I wanted to spend all my time with my wife and kids. That was my focus. During that time, I also learned how much love and humanity is out in the world from the prayers and good wishes we received. But slowly, along with understanding what my priorities in life are, I began to feel a new commitment to express the emotions and lessons I’ve embraced. Whether I am the narrator, the observer, the main character, the dreamer, the broken hearted guy at a bar or having the night of a lifetime, I have stories to tell on this record. It’s all there in the songs. I have had so many blessings in life and one of them is that I hold the torch to keep these songs alive for generations to come. I take the responsibility very seriously. My end game for the new record was to create a series of short cinematic stories for each song I chose and have it stand on its own. I’m so proud of what we accomplished,” commented Bublé. ❤ was produced by David Foster, longtime collaborator Jochem van der Saag and Michael Bublé. The trio brought Bublé’s visions to life with luscious arrangements surrounding his rich vocals. Michael Bublé has sold over 60 million records worldwide, performed hundreds of sold-out shows around the globe, and won four Grammys and multiple Juno Awards during the course of his extraordinary career.